Sunshine and clouds mixed. High 62F. Winds light and variable.. Partly cloudy early followed by cloudy skies overnight. Low 43F. Winds SSW at 5 to 10 mph. 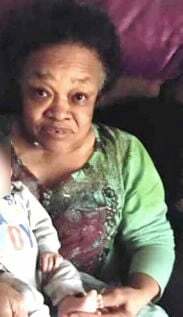 DULUTH– The Duluth Police Department is asking for assistance in locating Helen Marie Goods, 77, of Duluth. Goods left her residence on foot in the 600 block of North 8th Ave. W around 7:30 or 8:00 p.m. on Thursday, March 14, and did not return. She has dementia so may be lost or confused, and authorities are concerned for her welfare. Duluth police are asking the public in the area to look along roadsides, properties, or places someone might seek shelter. She often uses public transportation. Goods is a black female, 5’4”, 170 pounds, and was last seen wearing jeans, a striped black and blue shirt, and a black winter coat with fur around the hood. Anyone who believes they may have seen Goods or have information regarding her whereabouts is asked to contact the Duluth Police Department, 218.625.3581, or call 911.